Knowledge Graph Card is a systematic tool that is offered as part of Google’s search features that makes it easier for people to find information that they are looking for. This feature improves the relevance of search responses and is available for all kinds of information on the web, including popular businesses, places, people and any other distinguished entities that Google has enough data on. Since Google relies on information provided by the search query to create the Knowledge Graph, results are dependent on the search terms used. Essentially, it is an intuitive database that gathers the key details of commonly searched keywords that have been previously used to find specific information, gathering groups of information together and displaying it in an easy to read display at the top of the search results page. Below sample shows a Knowledge Graph Card for Apple. Since Apple is a large company, you will notice that they have a lot of information and you are able to see the important details including contact information, trends and other pertinent details at a glance. This function is now a part of Google’s normal search parameters. The person searching for information doesn’t have to go to advanced settings or do anything differently. Rather, when they enter a keyword into the main search bar, so long as there is enough data pertaining to your query, the search engine automatically crawls and generates a Knowledge Graph Card. The next sample shows the Knowledge Graph for our business, Amberd Design Studio. 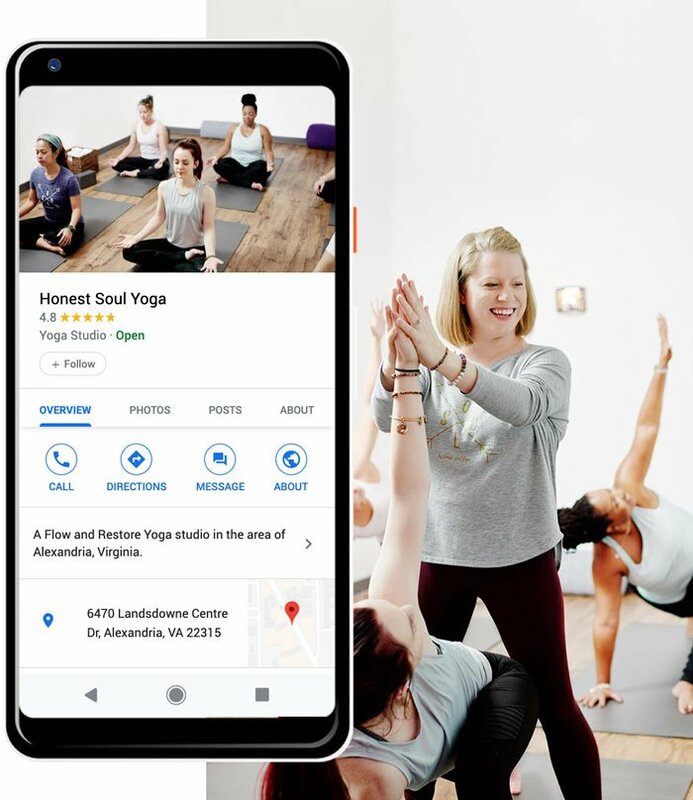 Notice how it not only shows the local contact information but other important details including social networks and rating statistics from Google and Facebook Pages reviewers. 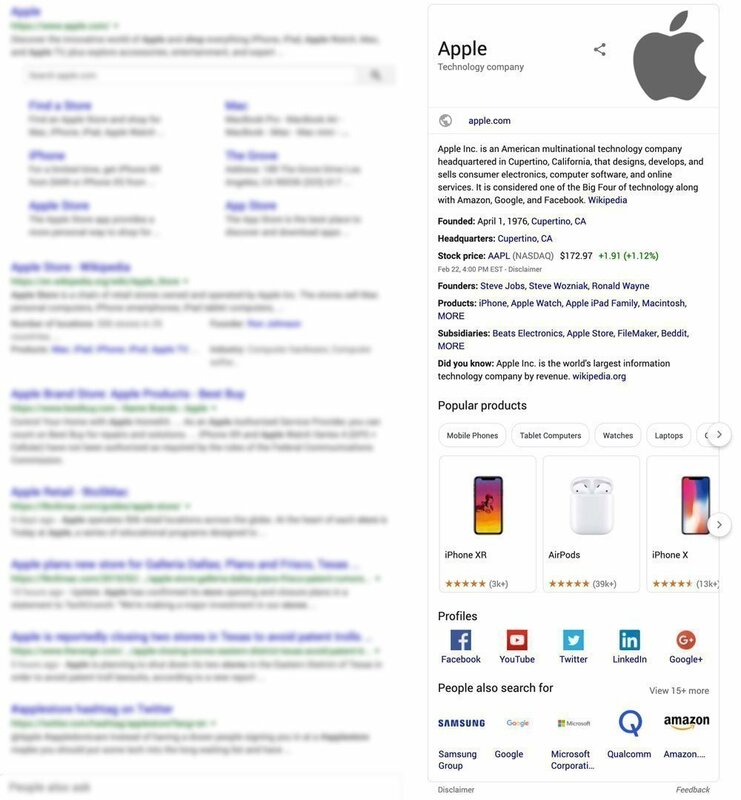 Now, imagine how much easier it would be for people who are looking for your product, shop or services and when they entered your businesses name they would see everything that they need to connect directly without searching for it. For business purposes specifically, you can probably see how this would be a helpful tool. It makes it so that your pertinent information is listed clearly on top of the page in an easy to read format. Now, the question is, how to make Google’s Knowledge Graph Cards work for you. In order for your business to show up with the Knowledge Graph Card, you need to be sure to provide all of the pertinent information for Google’s search engine to be able to create and populate a card. You can help this process along by following these next steps. Any business owner understands that the key to online success with Google is to provide the right kind of information that will entice your target audience, as well as to place highly on Google’s ranking information. This should already be a priority, but if you are interested in having a correct Google Graph Card for your company, this is the time to double check where your page stands. The key to creating a successful webpage that allows Google to connect search users with your business is the information that you list. If you aren’t ranking as high as you would like, consider whether or not the information on your site has the right content to attract your target audience and that you have explained clearly what your topic or purpose is. As Google continues to upgrade its search engine capabilities, like integrating algorithms like RankBrain in order to find specific connotations and connected terms. The more concise your page is, with natural keywords and important details about your industry or trade, the more likely that you will get more search users that are interested in what you have to offer. As Google connects searches to your website, they are also able to get valuable data on the ones doing the search. This, in turn, will improve the Knowledge Database, thus increasing accuracy and improving the overall search performance. To ensure that your information is able to be located by the crawler, you want to share information on your website in a format that will display properly for the Knowledge Graph Cards. You can do this by implementing schema markup for a company website. This step is mainly for establishments with a physical location. Since the updated launch of the new business platform, most companies have updated their information and submitted it to Google My Business, but if you haven’t done this yet, you’ll need to do that first. This will allow you to claim ownership of your business and be able to proceed to the last thing you’ll need to do so that so a Knowledge Graph Card can be created. If you have already been added to Google My Business, then all you should need to do is verify that you have ownership of your official site and a card can be created. Be sure to stay updated on your Knowledge Graph results by performing searches for your business on a regular basis. Google My Business allows business owners to change the information if any of the data listed is incorrect. This could be because your company information changes, information is presenting incorrectly or you want to add to a partial Knowledge Graph. The following sections are unable to be edited, according to Google guidelines. To change your business information log in to your Google My Bussiness page and simply update the information. Please note: Wikiepdia does not accept just any business. Your business has to be well known and authoritative to be accepted on Wikipeida. 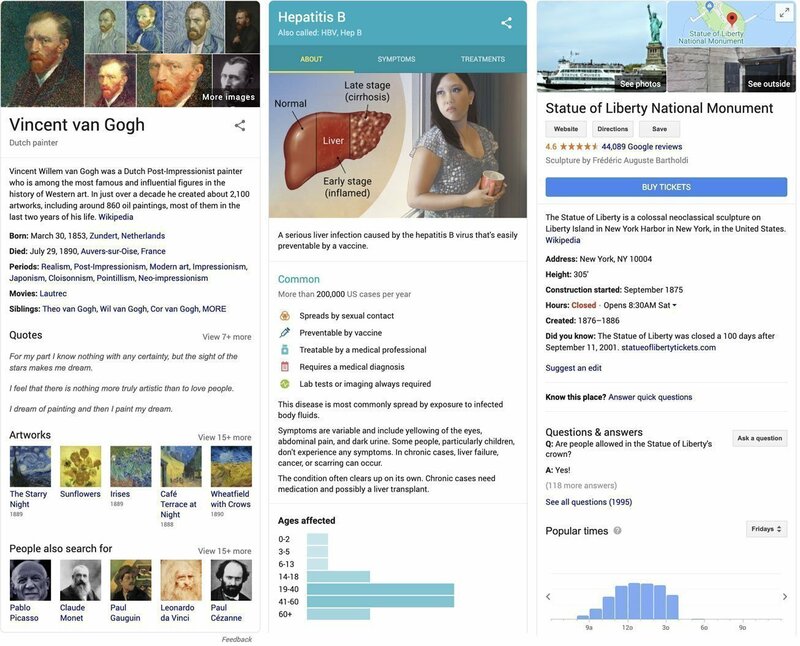 Wikidata is a knowledge base that allows for collaborative editing that provides structured data that also fuels the results that are seen in Knowledge Graph Cards. By optimizing the information that Wikidata has about your company, you can improve the results that are displayed on the Knowledge Graph for your business. It can also be a good addition for your site if you find that certain details are missing from your display. This video by Web Marketing Today, shows how Mike Svatek successfully got his business listed on Wikipedia. Each step in this process will get you closer to having the information that you want to be displayed in an easy fashion on Google. However, once you have each completed, you’ll have taken the appropriate measures to make your webpage even more accessible to your target audience.